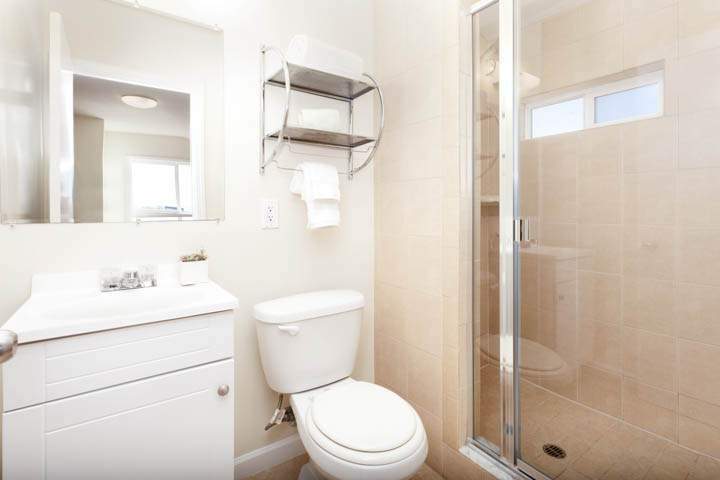 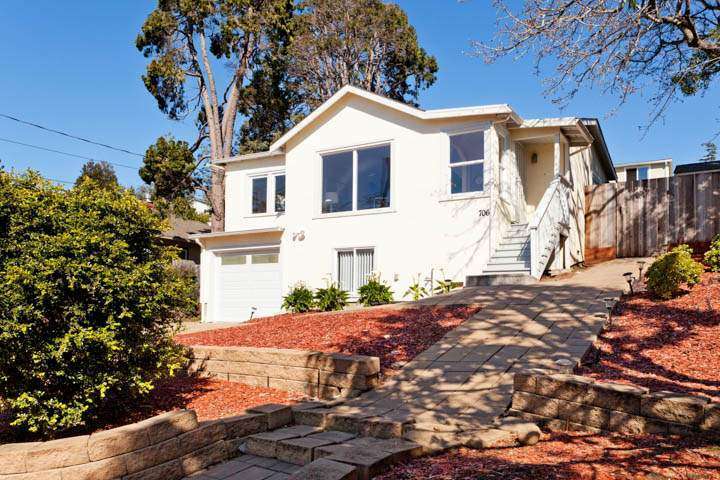 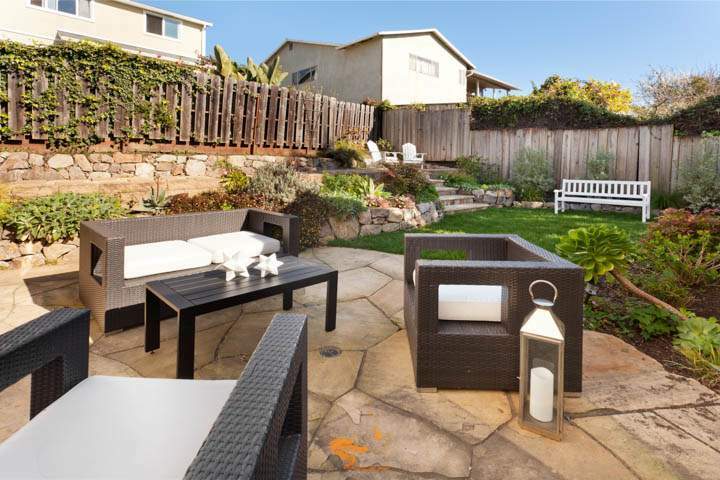 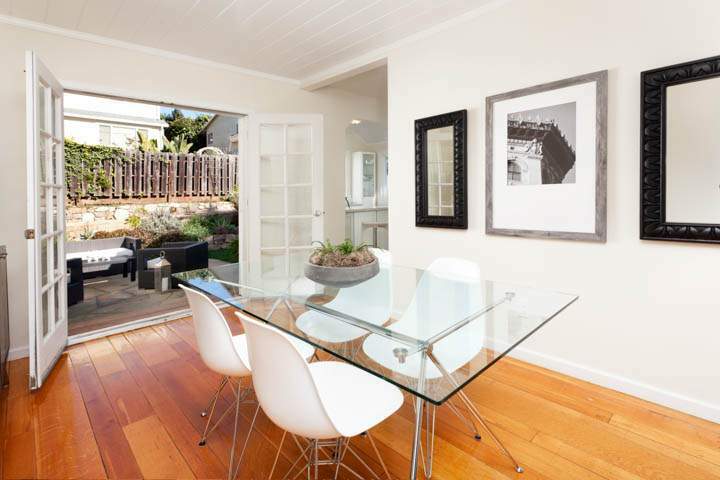 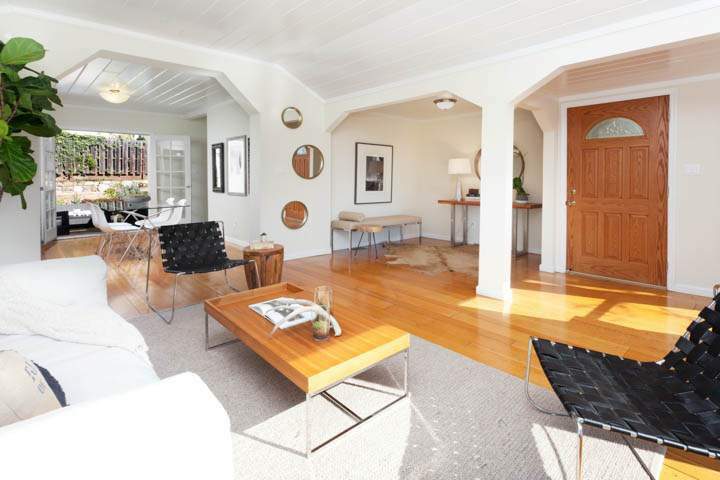 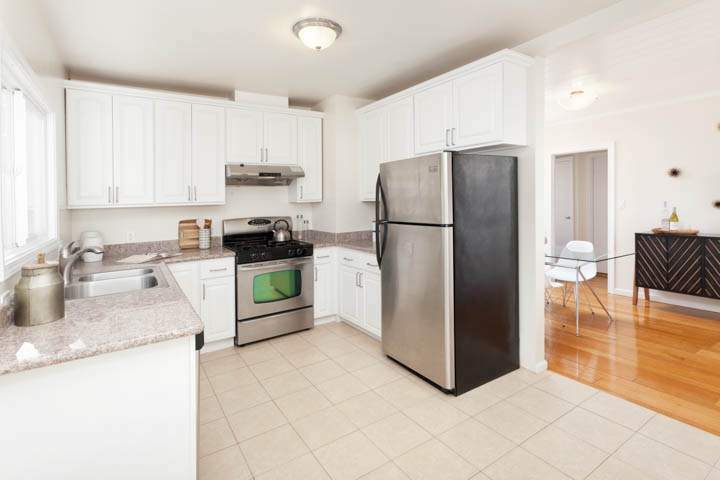 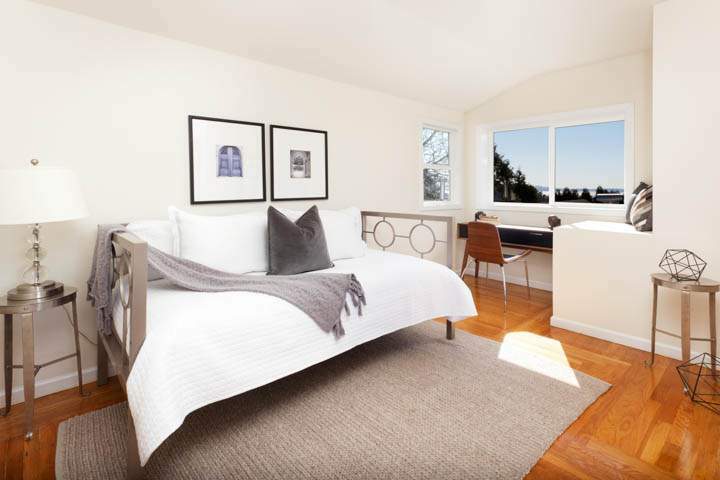 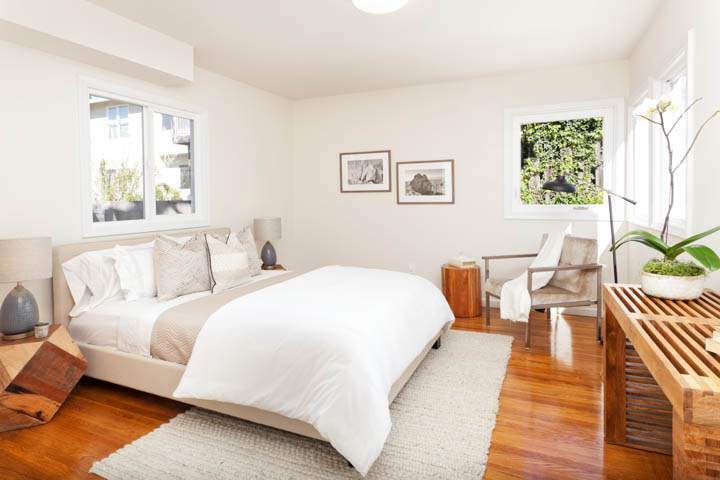 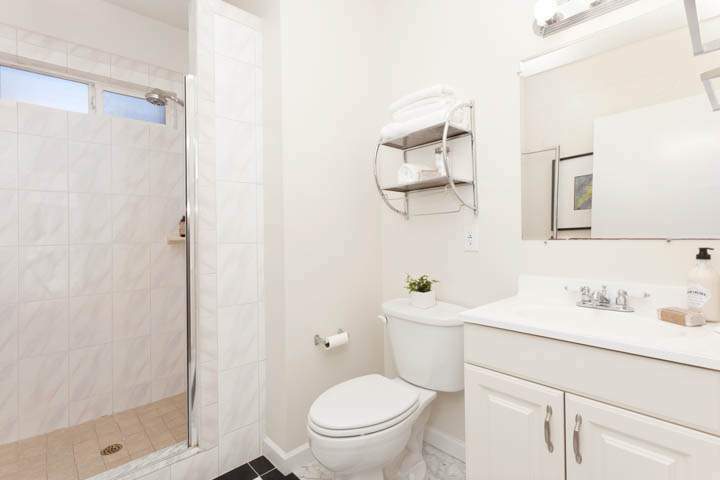 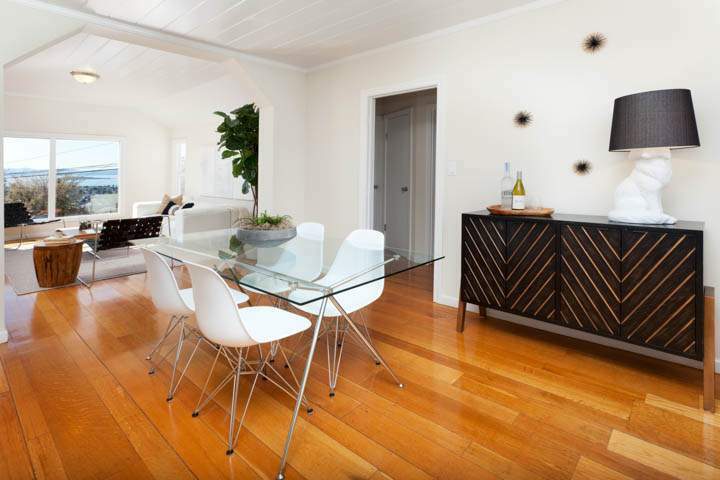 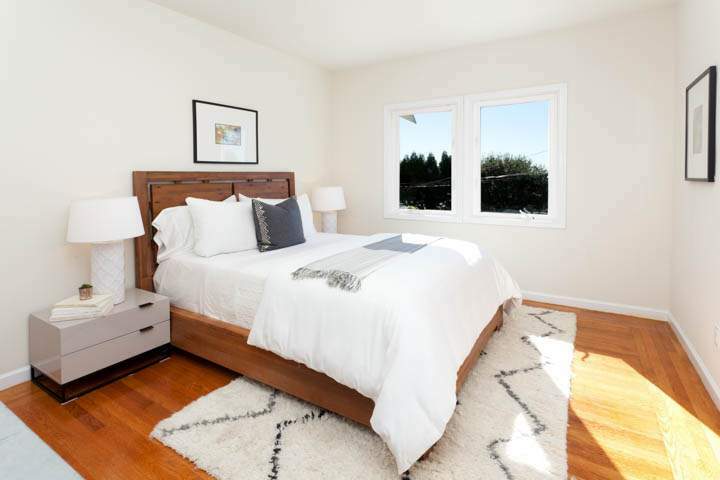 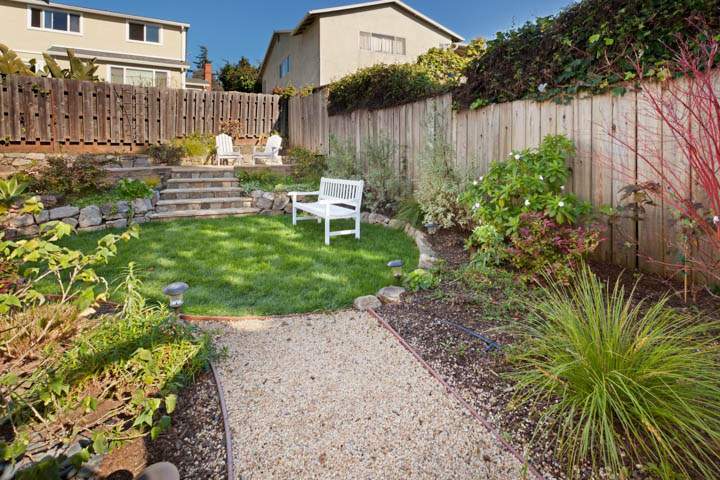 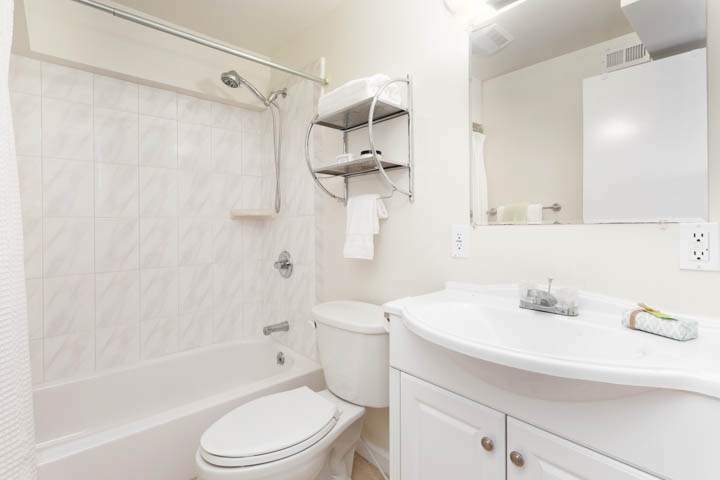 Gorgeous El Cerrito contemporary tri-level has room for everyone! 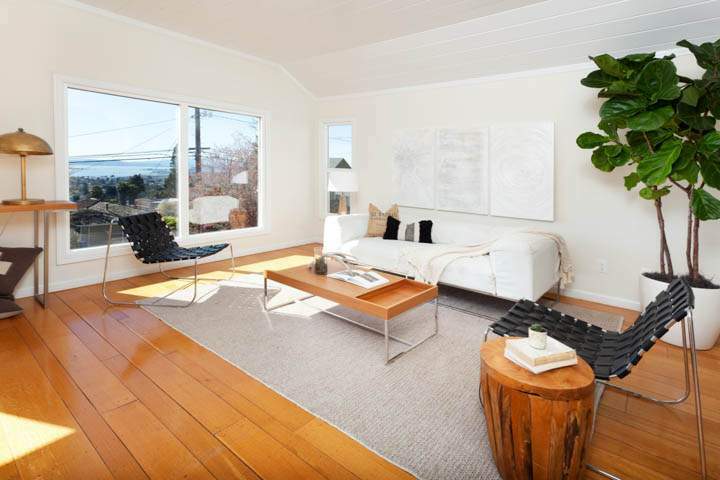 Light, bright interior! 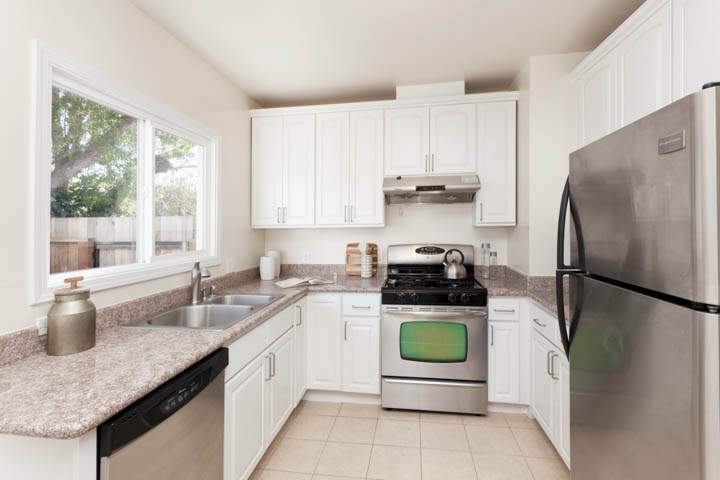 Main living level: eat-in kitchen with added cabinetry, stainless steel appliance finishes, breakfast bar; dining area with French doors to landscaped back garden; lots of storage! 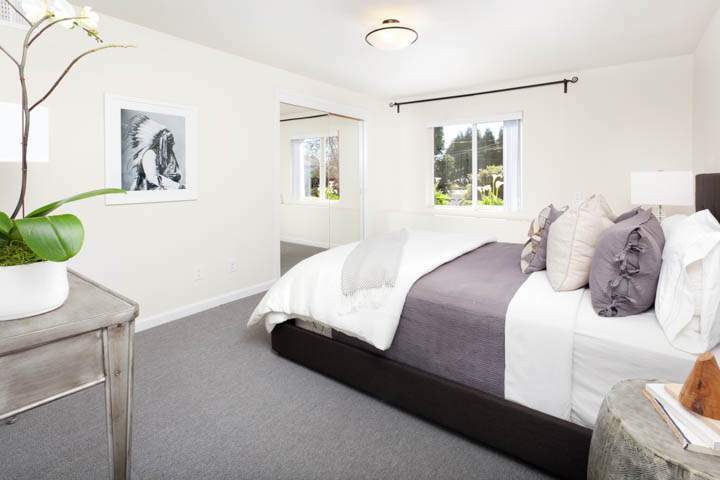 Random plank, tile & carpet flooring; dual paned windows; views & Golden Gate Bridge from Top Floor suite; Lower Level; bedroom with mirrored closet doors, full bath, laundry room. 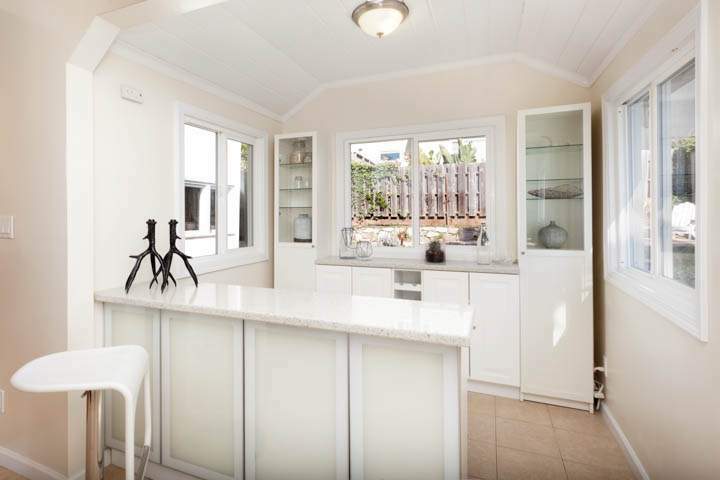 Garage has interior access; detached storage shed.